Most cinemas sold their organs when buildings were being multiplexed or closed. Only a handful of organs remain in cinemas in Britain. The rest have found their way into town halls, clubs, churches, schools, museums, places of commercial entertainments and private homes. But, wherever these theatre organs are to be found, there’s wonderful music to be heard. 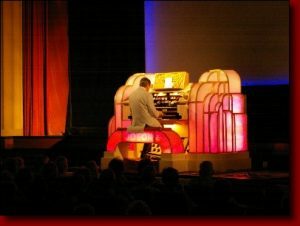 The Cinema Organ Society has three of its own and is involved in the care of others, too. Technical information about these instruments can be found on our Theatre Organ Fact Finder site.